Chilly morning with the winter clouds lingering. No promise or feeling that spring has arrived. 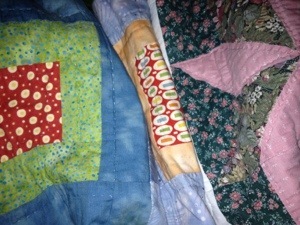 Winter pajamas still donned and quilts piled high.